Martin Fay was a musician who was a native of Dublin. A fiddle player, he was one of the founders of the traditional Irish band, the Chieftains. 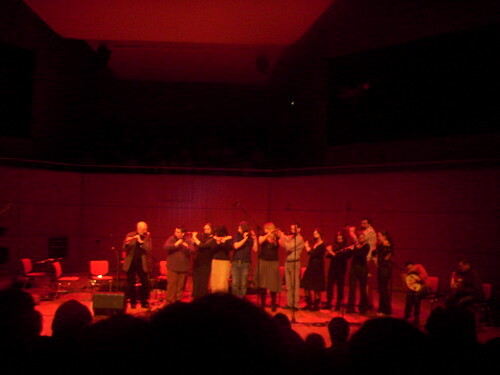 The Chieftains helped popularise Irish music across the world. Their genres include Traditional Irish, Irish folk and Celtic. Martin Joseph Fay was born in Cabra, Dublin on September 19th 1936. He trained as a classical musician and played the violin the orchestra of the Abbey Theatre. In 1963, with Paddy Moloney, Sean Potts and Michael Tubridy Martin Fay founded the Chieftains. He remained a member of the band until his retirement in 2002. Martin Fay, musician and founding member of the Irish band, the Chieftains, died in Dublin in the year 2012 On This Day. Carlow County Museum is located on College Street, Carlow town, Ireland. 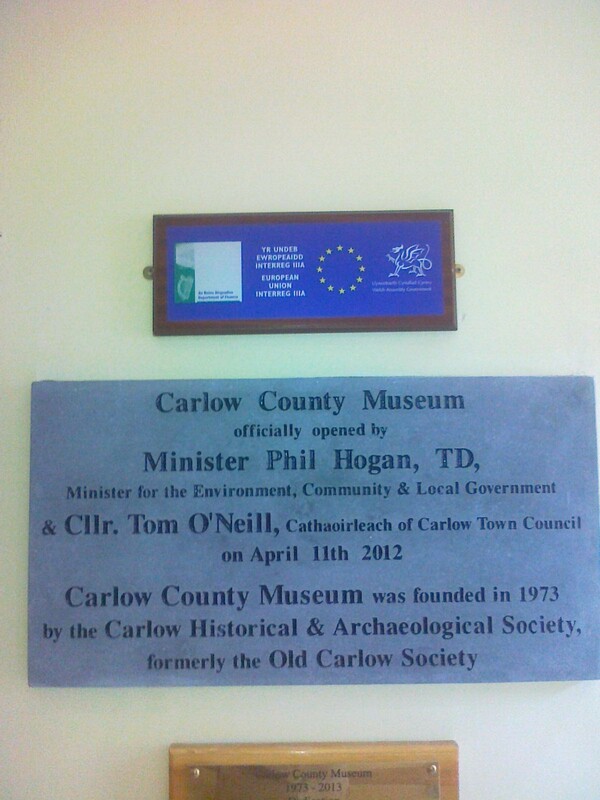 The museum which is operated by Carlow Local Authorities was founded in 1973 by the Old Carlow Society. The Old Carlow Society was formed in 1946 to encourage the study of the history and antiquities of the town and county of Carlow. The society, which changed its name to the Carlow Historical & Archaeological Society in 2001, organises an annual series of lectures. It also publishes Carloviana, the annual journal of the society. Carlow County Museum is part of what is known as Carlow Town’s Cultural Quarter. It is operated by Carlow local authorities in association with the Carlow Historical and Archaeological Society and admission is free of charge. As well as material related to famous Carlow people such as John Tyndall, Samuel Haughton and Captain Myles Kehoe, the Carlow museum also houses a diverse collection of archaeological and historical objects. These include items such as the pulpit from Carlow Cathedral which was made in Bruges, Belgium in the 19th century. The museum also houses material related to the Carlow Sugar Factory and an exhibition celebrating Rural Electrification in Ireland. What is described as ‘an exquisite eleventh century piece of Irish silver and which is part of the Jackson Collection’, is also on display in the museum. The Jackson Collection was put together by Robert Jackson and later added to by his brothers William and Adam. The Jackson family lived in what was then Carlow Graigue now Graiguecullen. Robert was an official in the military barracks in Carlow during the early 1800’s. His sister, Ms Frances Jackson, in her will in 1859 left “in trust for the public” what became known as the Jackson Collection. Prior to building the Carlow town by-pass, archaeological investigations were undertaken at 57 sites along the route of the motorway. The excavations produced evidence of settlers in Carlow from the Mesolithic era, of houses belonging to people of the Neolithic period and sites relating to the Bronze Age. Material relating to the discoveries were put on display in County Carlow Museum. Carlow County Museum founded 1973 by Carlow Historical and Archaeological Society was officially opened at its new premises by Mr Phil Hogan, Minister for the Environment, Community and Local Government, in the year 2012 On This Day. Bridie Gallagher was a singer who was a native of Donegal, Ireland. She became Ireland’s first international pop star, selling millions of records over a 50-year career. Known as the ‘The Girl for Donegal’, Bridie performed at venues around Ireland and across the globe. Bridie Gallagher was born at Creeslough, County Donegal on September 7th 1924. She began her career with a local Céili Band. She became internationally famous with recordings such as ‘The Boys From County Armagh’ and ‘The Homes of Donegal’. Apart from her performances in Ireland Gallagher also performed at venues such as the London Palladium, Royal Albert Hall, the Lincoln Centre in New York and Sydney Opera House. She also performed on radio and television in Ireland and abroad. Bridie Gallagher died in Belfast at the age of 87 in the year 2012 On This Day. Broadcaster Miriam O Callaghan performed Ireland’s digital switchover in 2012. In doing so she brought to an end the country’s 50 year old analogue television network. The switchover brought Ireland into line with the rest of Europe. The first television signals received in Ireland were from the BBC transmitter at Sutton Coldfield near Birmingham in England in 1949. 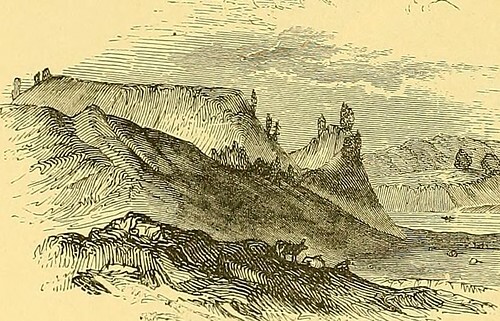 Reception was only available along the east coast of Ireland. 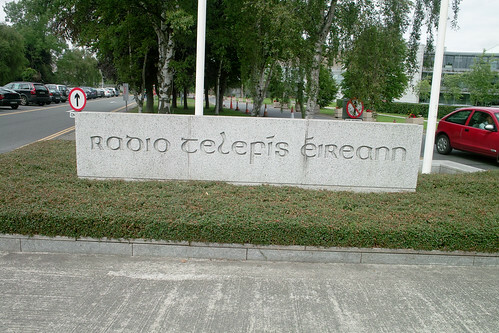 It was not until RTÉ Television began broadcasting in 1961 that television signals became widely available in Ireland. In subsequent years the television service was gradually expanded. A new channel, RTE2 began broadcasting in November 1978. On October 31st 1996 a service for Irish language viewers called TG4 was launched. On September 20th 1998 the first commercial broadcaster in Ireland, TV3 began broadcasting. The switch over to free-to-air digital terrestrial television (DTT) in Ireland began in October 2010. During the following two years preparations were put in place for the change over which would ensure people would continue to access to free-to-air television. The new service called Saorview was designed to provide viewers with greater viewing opportunities. However upgrades to some television equipment was necessary. By closing down the analogue TV network space was freed up for more mobile broadband services. Ireland’s analogue broadcasting signal was switched off at 10am in the year 2012 On This Day. Borris House is located in the picturesque town of Borris in South Carlow. It is the ancestral home of McMorrough Kavanaghs, High Kings of Leinster. The Kavanagh family of Borris House can trace their family right back to the 12th century. Diarmuid McMorrough Kavanagh invited the Normans to Ireland in 1169 to help him regain the Kingdom of Leinster from Rory O Connor the High King of Ireland. 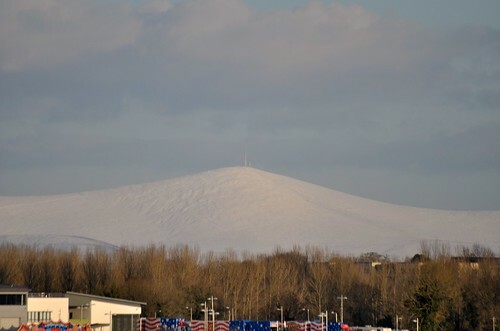 The town of Borris, which has a population of around 1,100, is located at the foot of Carlow’s iconic mountain, Mount Leinster. The town attracts a large number of tourists annually. Many of those are attracted by events in Borris House. These include poetry readings, concerts and guided tours of the house. Borris House, which has the Chapel of St Moling in the grounds, is also available as a wedding venue. Borris House which dates from the 15th century, featured on ‘Antiques to the Rescue’ on the BBC in the year 2012 On This Day.